Cybersecurity has gotten enough attention when many government and privately-owned websites are being hacked and vandalized. Unfortunately, 60% of online attacks in 2014 targeted small and medium enterprises (SMEs). It's because small online businesses are still developing its website security. Hence, the security weaknesses are easier to penetrate. No matter how big or small your company is, website hacking can happen to any website. Cybersecurity is now understood as an essential part of online business and online activities. In order to peacefully operate on the Internet, it's essential that business owners and webmasters invest in cybersecurity websites. Cybersecurity is a very complex term that can tackle anything related to technology. Based on the definition of Techonopedia, it refers to preventative methods used to protect information from being stolen, compromised or attacked. It requires an understanding of potential information threats, such as viruses and other malicious code. Cybersecurity strategies include identity management, risk management, and incident management. 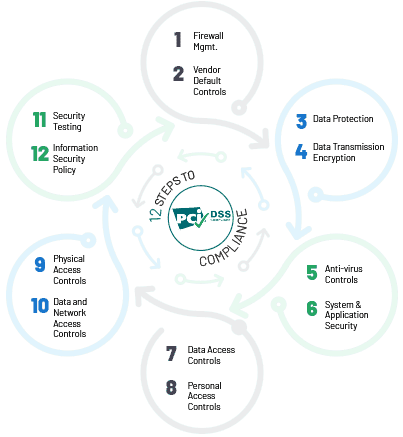 Not only that, cybersecurity is an umbrella term that covers different types of security protocols like website security, endpoint security, and network security. It's good to have cybersecurity websites experts in your staff or a support team to call. A cybersecurity websites expert (ex. programmer) on website configuration is ideal for helping you fix your website. The hosting company can also help you out since they deal with same issues with other customers. They can definitely provide great assistance. They can also do the cleaning job for you if they have backup logs for your files. Prepare the all of the information they'll need. Your staff will need access to the ff: CMS Login: your content management system with administrative/super admin rights Your web logs: both the access logs and error logs. Be sure that your hosting company provides the weblogs. Most web hosts do, but a few hosting companies do not turn those on by default or may not provide access to them. FTP / sFTP access credentials: this should include the hostname, username, and password Hosting Login: your hosting control panel to access your database and web logs Backups: Any backups you may have. You must keep all of this information in a safe place where you can immediately access when you need it the most. When you're assessing and fixing your website, it's better to shut it down for the meantime. You'll be able to shut it off using your hosting control panel. You may also setup a password on the main directory to block visitors from using your website. To make sure that nothing can take your important data again, you need to run your trusty antivirus. Just make sure your antivirus is updated to use it to its full potential. Though, that's very expensive for small, newly created businesses. Can you really go through the trouble of doing all of that cybersecurity website cleaning? Moreover, the steps we shared with you can still miss a malware. That's why Comodo created a cybersecurity websites scanner tool that can do all the job in one click. 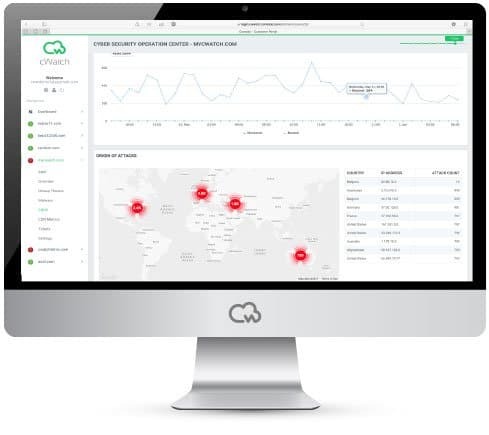 Comodo cWatch a cybersecurity websites scanner tool for websites and applications that combines a Web Application Firewall (WAF) provisioned over a Secure Content Delivery Network (CDN). 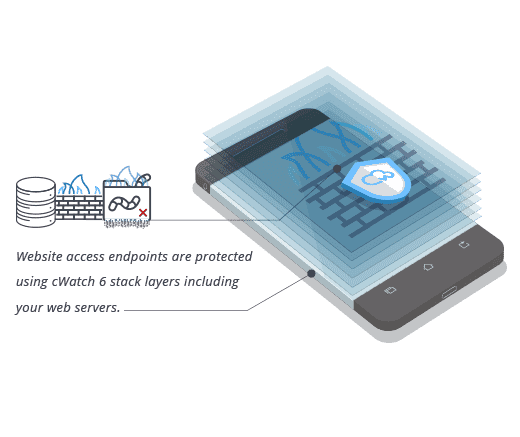 It helps fight DDOS attacks by DDOS mitigation, a feature that blocks DDOS attacks.Through DDOS mitigation, it allows you to have a smooth website traffic from your faithful users and customers. 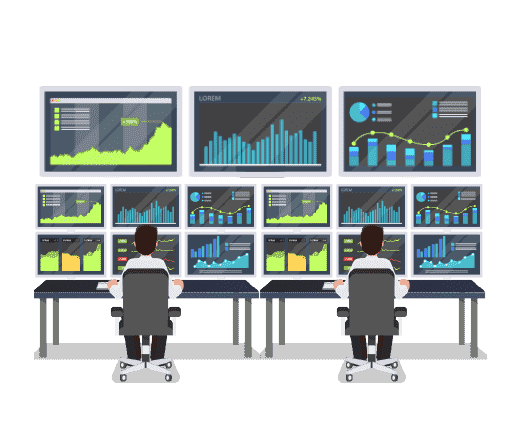 It is also a fully managed solution from a 24/7 staffed Cybersecurity Operation Center (CSOC) of certified security analysts and is powered by a Security Information and Event Management (SIEM) center that leverages data from over 85 million endpoints to identify and mitigate threats before they occur. Its other features are Security Monitoring, Web Application Firewall, Malware Removal, and PCI Scanning. 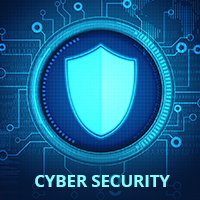 This cybersecurity websites scanner tool has an access to certified cybersecurity websites scanner tool experts using advanced technology to help you resolve security incidents faster. This cybersecurity websites scanner tool operates on all web servers, acting as a customer inspection point to find and filter out content like embedded malicious website code. 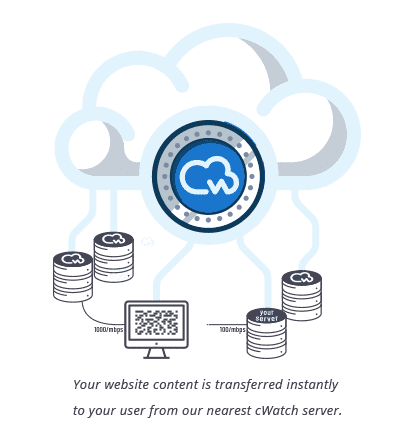 This cybersecurity websites scanner tool delivers web content faster by caching at the global data center to meet traffic spikes, shorten distances, and provide website security. 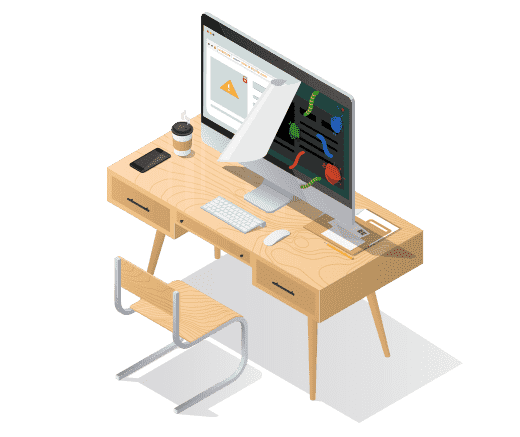 This is the main source of the cybersecurity websites scanner tool on how your website is monitored from threats and vulnerabilities. This cybersecurity websites scanner tool allows you to know the exact malware that keeps attacking your website. With the help of This cybersecurity websites scanner tool, website hack repair provides a detailed report on areas you need to deal with. When the This cybersecurity websites scanning is done, all the blacklists will be removed to your website. This cybersecurity websites scanner tool assures that a daily report will be sent to monitor website safety. This cybersecurity websites scanner tool allows your website to perform faster than before. This cybersecurity websites scanner tool improves traffic on your website and blocks hackers from using software vulnerabilities. This cybersecurity websites scanner tool tracks legit website users to be protected from disturbed by annoying delayed pages or CAPTCHA.